“Your mission, if you choose to accept it…” was how the letter started. JoJo, Henry and Ruby’s cousin, was reading aloud a handwritten letter (by me) to her cousins and sister as we all stood in front of a country store on the main street of Woodstock, Vermont. Their mission, the letter continued, was to spend the twenty dollar bill they each had found in their respective envelopes they’d just been handed. Later, over hot chocolate, they were to report back to the group what they had purchased and why they had purchased it. We are spending our Christmas vacation in Vermont with our favorite Brooklyn family. 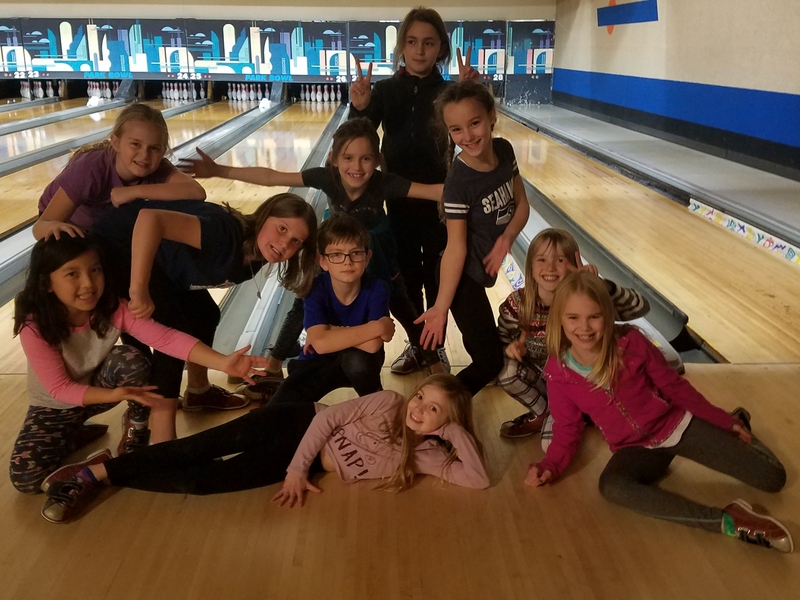 We planned to attend Christmas Eve mass in Woodstock, and we had a few hours to kill; so we decided to mess with the kids bit. We’d told them we would be spending the afternoon in the Woodstock public library reading books before mass. To our surprise, they weren’t entirely dreading it. Henry was maybe even a little excited. After parking the car and walking through downtown Woodstock toward the library, I stopped abruptly on the sidewalk and asked the kids to gather round. 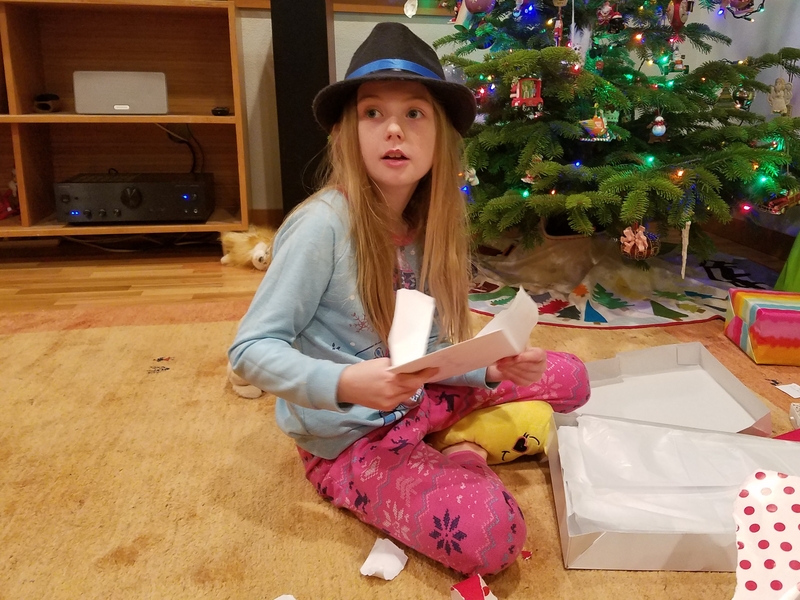 That’s when we distributed their envelopes that included crisp twenty dollar bills and the handwritten letter that JoJo read aloud. 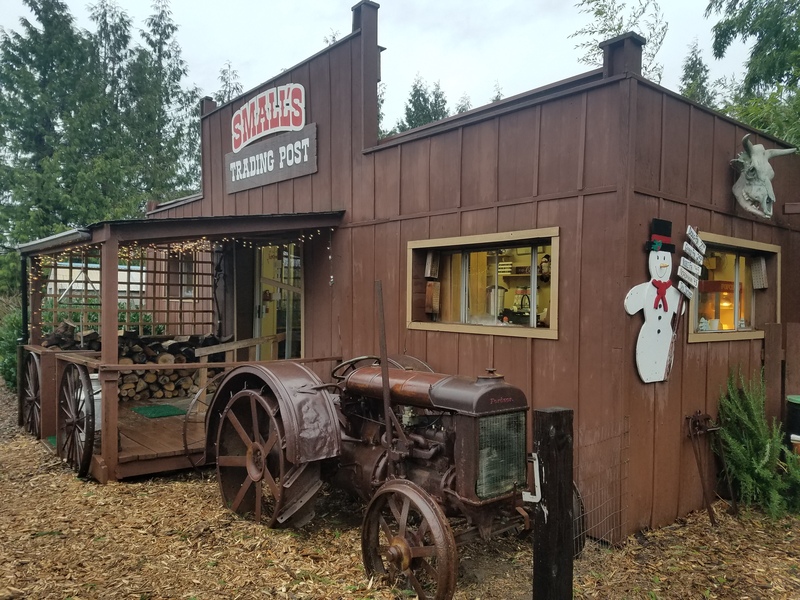 Forty five minutes later, we all emerged from the country store, each with a bag containing something valued at twenty dollars. The kids all underspent, so they pooled their change to buy candy. From there we proceeded to the Woodstock Inn, where over hot cocoa and dessert, we unveiled our purchases – youngest to oldest. 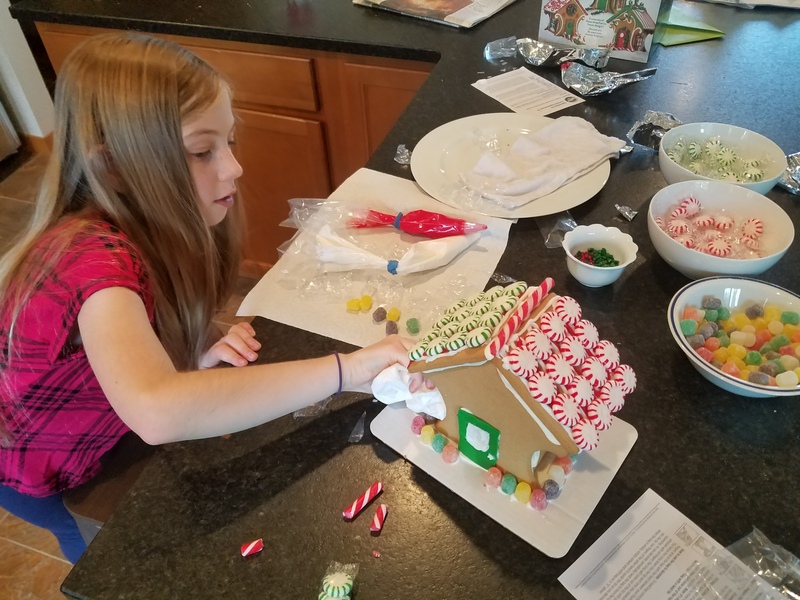 All three girls bought ginger bread house kits. Henry bought a model locomotive. Kristine went with a spiral vegetable slicer. Jesse bought her favorite home remedy – apple cider vinegar, and Brian got some hot pads. I opted for backgammon to add to the Eiting board game collection. 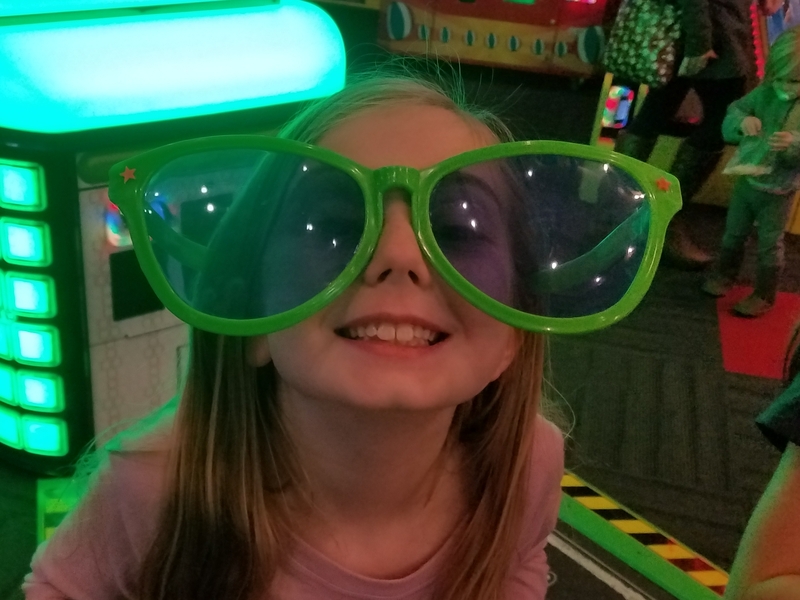 I’m not sure if this will become a new family tradition, but it was a fun way to spend some quality family time on Christmas Eve in Woodstock. This is the second year in a row that I’ve missed Halloween at Fry Lodge due to a business trip. My banana costume will sit in my closet for another year. I would have lost the Fry Lodge costume contest anyway. Kristine’s shredded Banksy is brilliant. Happy Halloween! 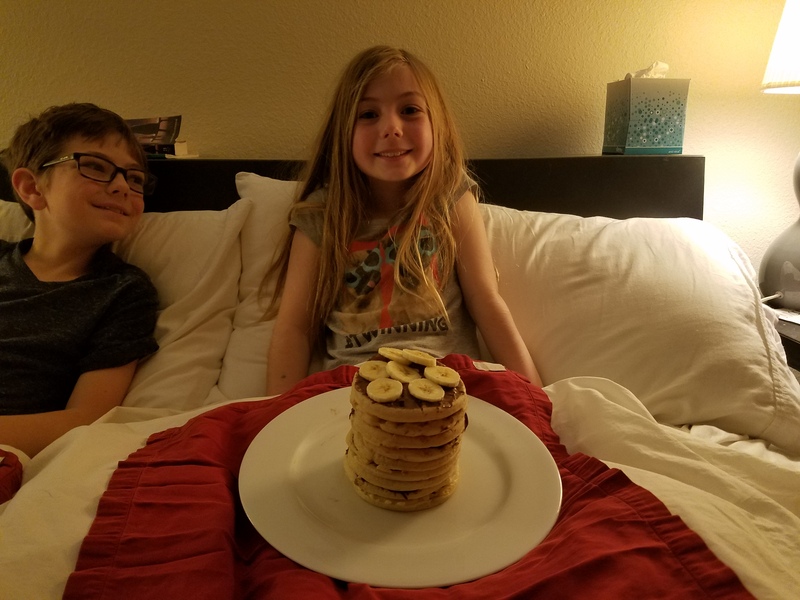 With the celebration of her birthday, Kristine closed out a three-week run of Fry Lodge milestones, including three birthdays, an anniversary and a few breakfasts in bed. 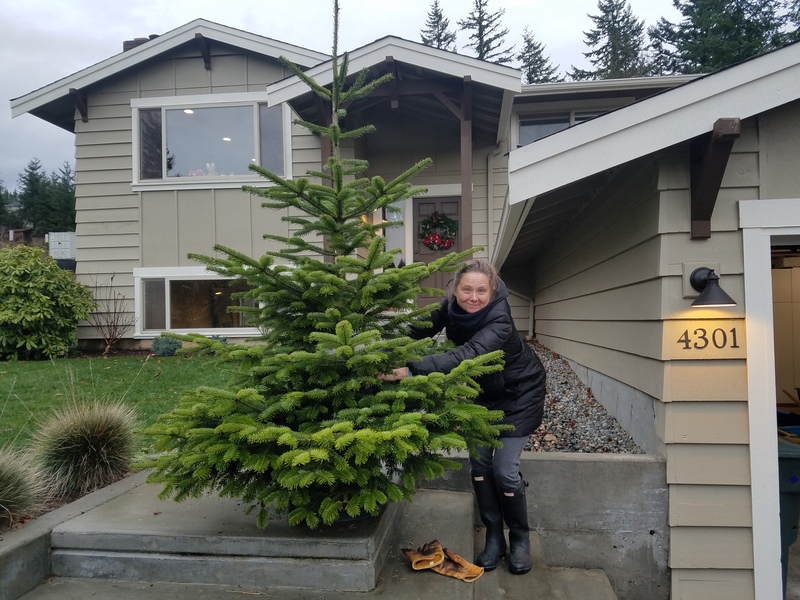 We celebrated with a Sehome Arboretum hike, Rocket doughnuts and some Pacific Northwest essential gifts: Starbucks gift cards and a rain coat. Happy birthday, Kristine! Henry turned 11 this week. 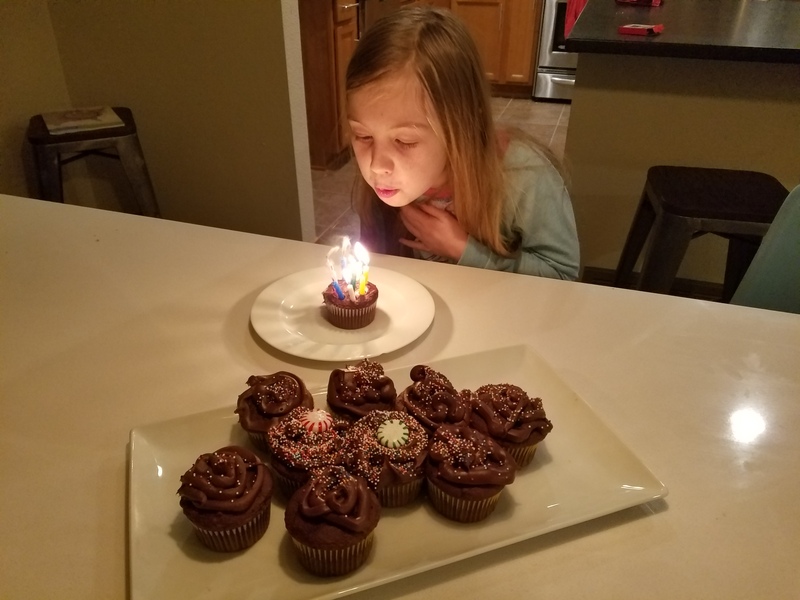 For his birthday, he requested: a steak and potato dinner, cupcakes, and a day of skiing with his friends. We obliged. 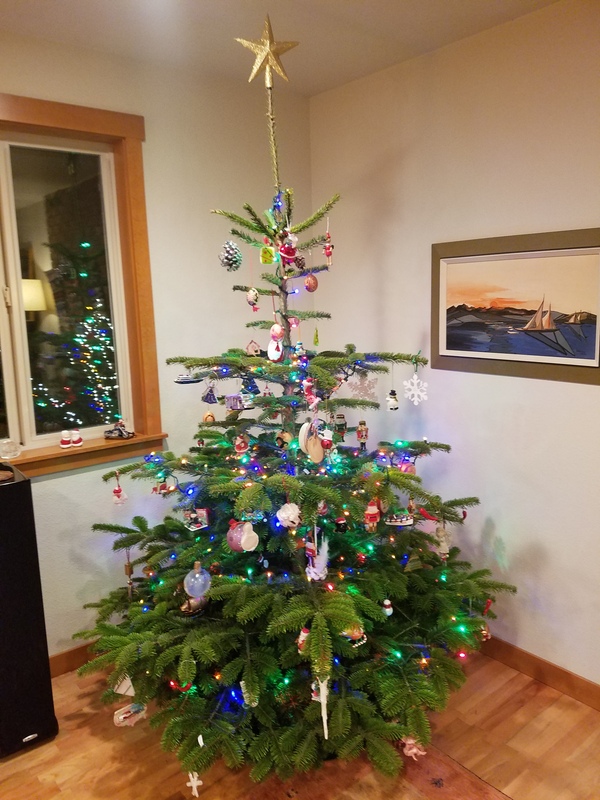 With a new twist every year, the Fry Lodge Christmas tree tradition never gets old. 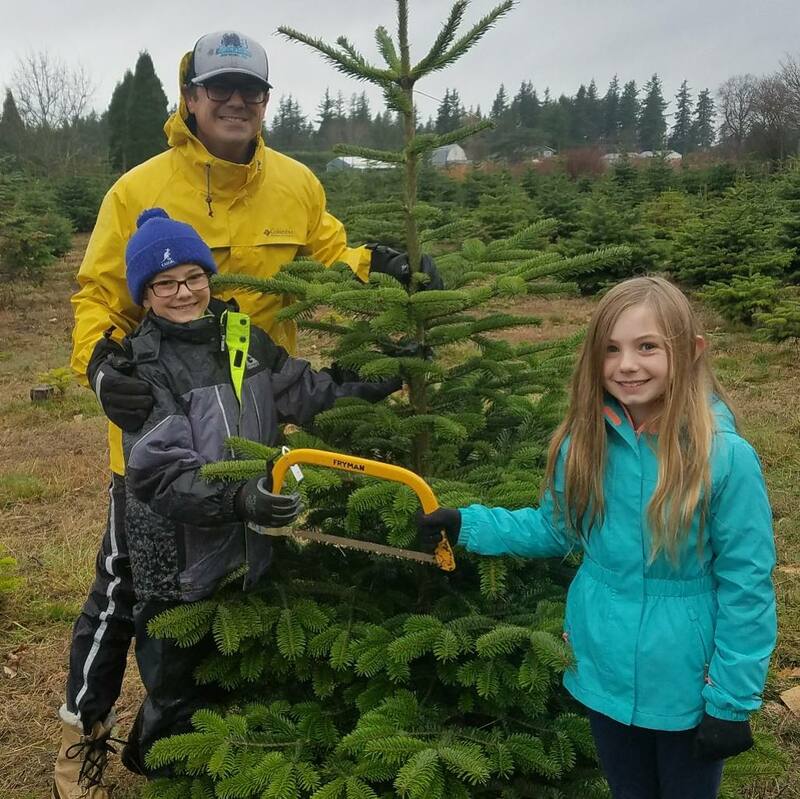 This year we tried out yet another tree farm, Small’s Northwest Evergreens up in Ferndale, which the kids have decided should be our go-to tree farm in the future. 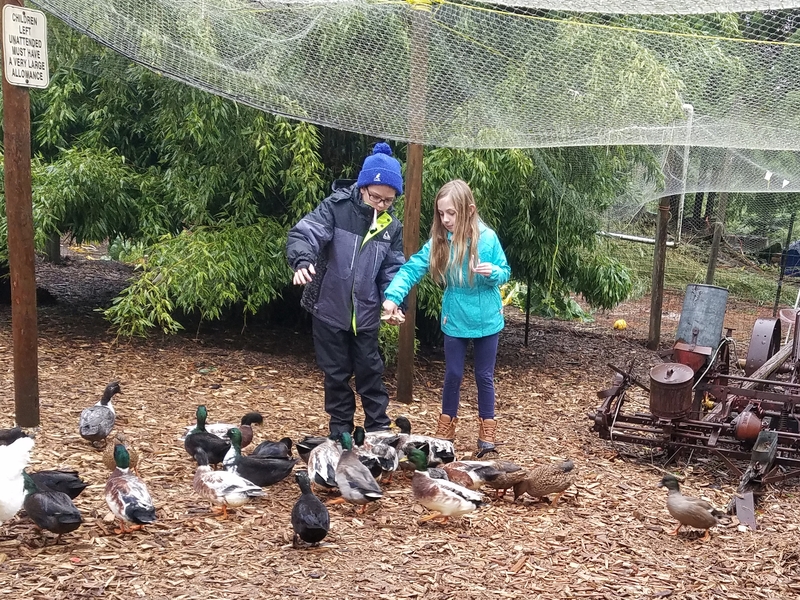 We found a nice selection of noble firs, a cool 2017 Fry Family ornament in the gift shop, and ducks to feed at the end of it all. 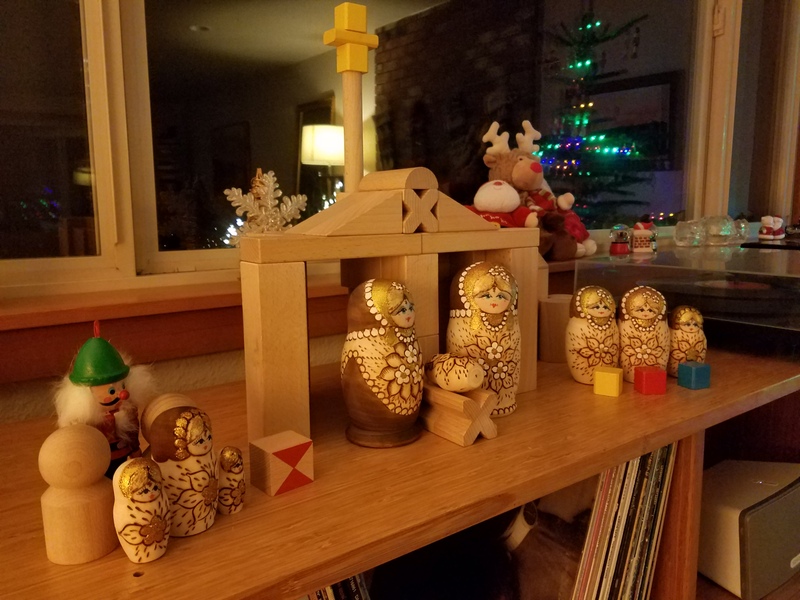 Once home, everybody was in the Christmas spirit, so we got to work decorating the tree, listening to some Jackson Five and Bing Crosby Christmas albums and creating a make shift nativity scene. 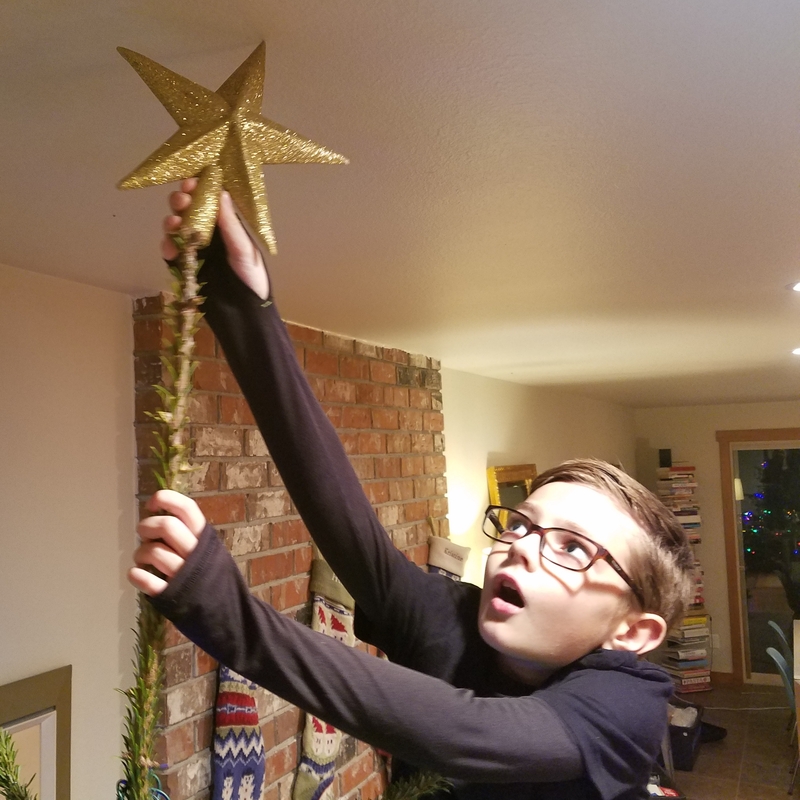 This was Henry’s year to put on the star. As we decorated, we remembered last year’s spider-infested tree. So far, we’ve only seen a lady bug crawl out.